I woke up Wednesday morning to a private message from someone praying joy, peace and supernatural energy into my day and praying for calmness and a pain free day for Mike. I saw that prayer answered as we made it to church as a family that evening. It’s still rare for Mike to get out. Most days this week he has slept until evening at least. Overnight was rough Tuesday night. He was awake hourly saying he wasn’t ok and that he was feeling bad and his head was hurting pretty bad. I thought for sure he would sleep all day to catch up on the rest. But no, he was up and wanting to be busy. The prayer of a friend in the morning did make a difference! When we do randomly get out to church, it’s the best feeling to be welcomed with open arms and lots of love. I’m thankful for all the people in our lives who simply love us when we can show up and continue to pray for us when we don’t. God continues to show me the miraculous healing and restoration that has taken place in our lives. I don’t doubt the blessings in my life for one second! Yes, Mike’s cancer is so much harder to deal with on so many levels than I could ever even try to explain. Some days I feel spent and broken. But at the same time, even on my broken days, I’m stronger than ever. Mike’s bad days are bad but his smile is genuine and his love runs deep. 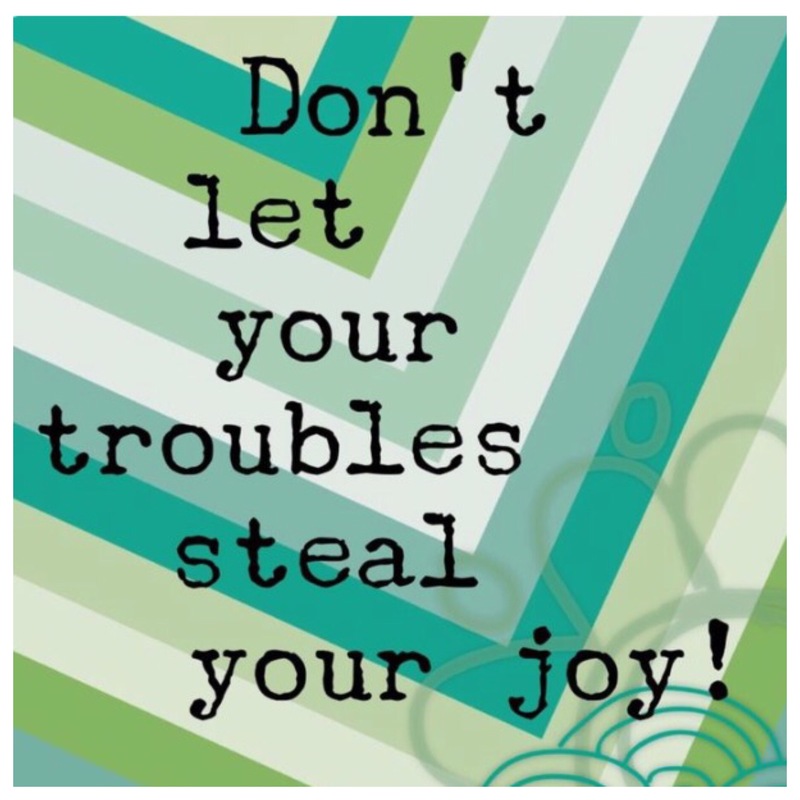 My heart feels like it gets ripped out of my chest almost daily….but there is joy even in the midst of all the hardships and heartache. 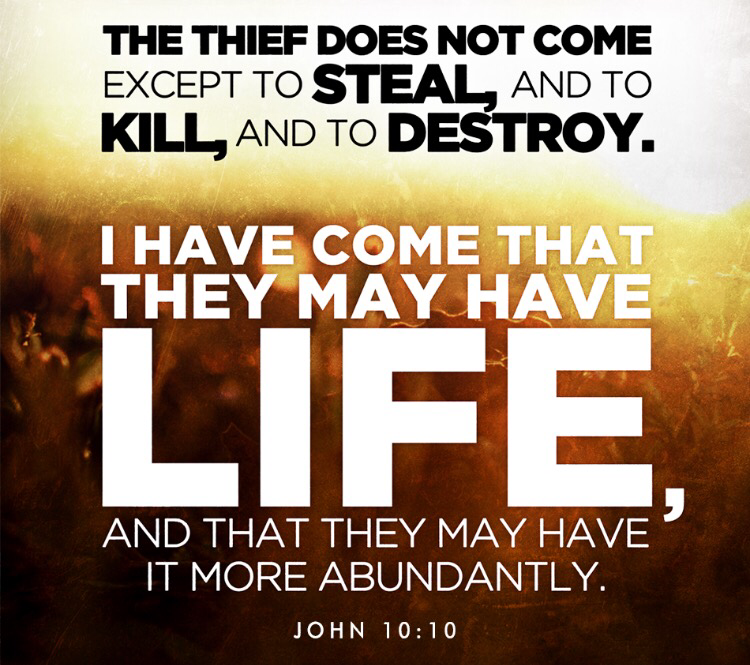 Even in the trials and tribulations, we are thankful to be living an abundant life. Speaking of JOY, I just realized that I haven’t announced this on the blog yet,…..our teen daughter is expecting a baby girl and she is due Dec 30th. As you know, our daughter is 15 so this was a huge shock, but we choose JOY and we choose LIFE. We choose to embrace this new little life ….So there’s that. 🙂 This photo is from a gender reveal party that I threw for them to find out the gender. 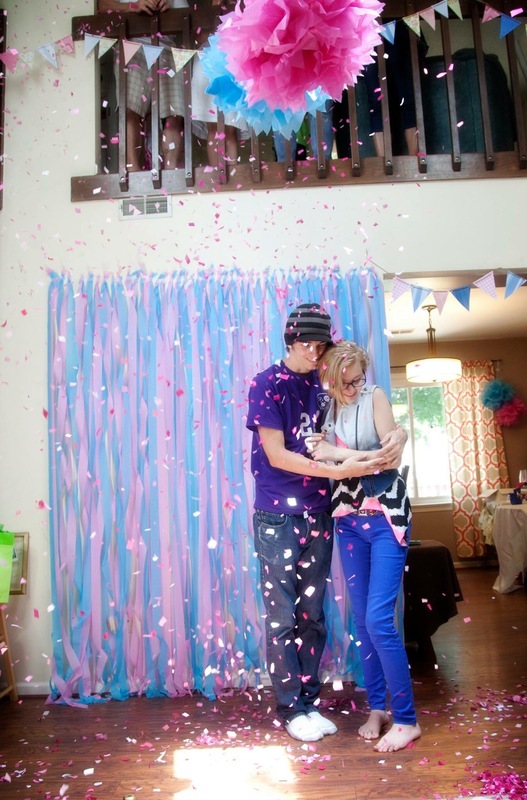 All the pink confetti revealed to them the gender! Insight into the GBM rollercoaster..
February 2nd – Mikes health is such a roller coaster. After about 40 hours in bed, he’s up and feisty. Feisty is good. It’s so crazy how he will be barely functional and then bounces back. It makes me so thankful for the good days. I look around and see the Kindergarten homework, sparkly shoes, silly artwork, video games and funky teenage combat boots. Today is a half day for the kids leading into a 4 day weekend. Before cancer entered our lives we always left town on long weekends. Long weekends were always our time to reconnect, re-energize and have some adventure. Instead of packing up for a weekend at the Outer Banks or some other destination, today Mike was officially admitted into home hospice. What makes this especially difficult is that it isn’t something I can talk out with my husband. My person. The one who always helped me sort out big decisions like this. For awhile Mike hasn’t been able to comprehend his illness. He hasn’t understood why his head hurts or why he can’t “think right” as he says it. He doesn’t remember the brain surgery, radiation or chemo most days. The last several appts we went to for treatment, he didn’t understand why he was there getting an IV or what medication he was getting and why, even when we told him over and over again. The last appt he told me he was tired and didn’t want to do this. It has taken every bit of him to just walk into the office lately and he reluctantly accepted a wheelchair to get down the hallway after we got into the office. It has been months since he left the house for something other than doctor appts. The ugly reality is that I don’t even remember the last appt when he was able to walk into the bathroom on his own and provide the urine sample in the cup without my assistance. Not a glamorous piece of information, I know…but that’s the reality of it. At this point he doesn’t remember conversations. He will ask me every two minutes where the kids are, even in the middle of the night if he wakes up. Most people would just know that their kids are in their beds under the same roof, but in his mind that logic just isn’t there. Talking to Mike about his treatment options have only left him in a state of confusion and distress each time. Any conversations about brain surgery or his diagnosis just leave him devastated as if he is hearing the diagnosis for the first time. I’m hesitant to post this because I do not want anyone talking gloomy to him or mentioning the word hospice. This may end up being a very private leg of this journey for our family. He is fine with the nurses that come into the home, and he is relieved to know that he doesn’t have to leave the house for doctor appointments anymore, but I do not want him brought down by sad conversations or devastated at the word hospice being said to him. That is not a moment of sadness that he needs to feel over and over again, and HOPE and POSITIVITY is important. We will let him live each day to the fullest with the most comfort possible, physically and emotionally. I will hold onto hope of a miracle, even as we are faced with hardships and an obvious decline. I will strive to rest in confidence that each day is already paved out before us. **Just so we are clear since I am sharing this, Do NOT have a conversation with him about hospice. At this point his body and brain are functioning so poorly that comfort care is the best goal for him. Since there is nothing further we can do, it’s in God’s hands. In God’s hands isn’t a bad place to be. God is bigger than cancer, bigger than treatment, bigger than the damage we have seen. Check out this video recap of the past two years on this roller coaster called brain cancer…look what the Lord has done! How fitting that this happens to be my 100th post!